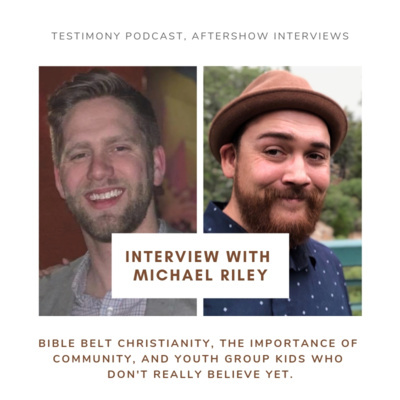 I sit down with last episode’s guest Michael Riley for a discussion on Bible Belt Christianity, the importance of community, and how it’s possible to be an active member of a youth group and still not be walking with Jesus. Every Christ follower has a testimony. Testimony is a show that brings you stories from all over the body of Christ. Every story is different, but each story points us past ourselves and to Jesus.